Hoyt is one of the last Volume Unit (VU) manufacturers located in the USA. 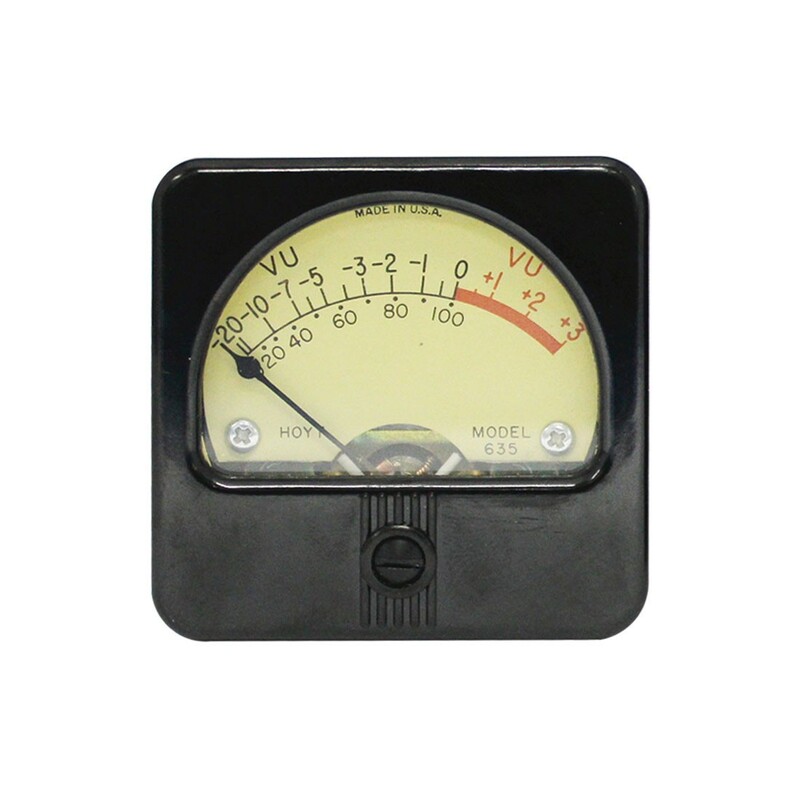 We offer a large variety of standard VU meters and specialize in custom applications for compressors and limiters. 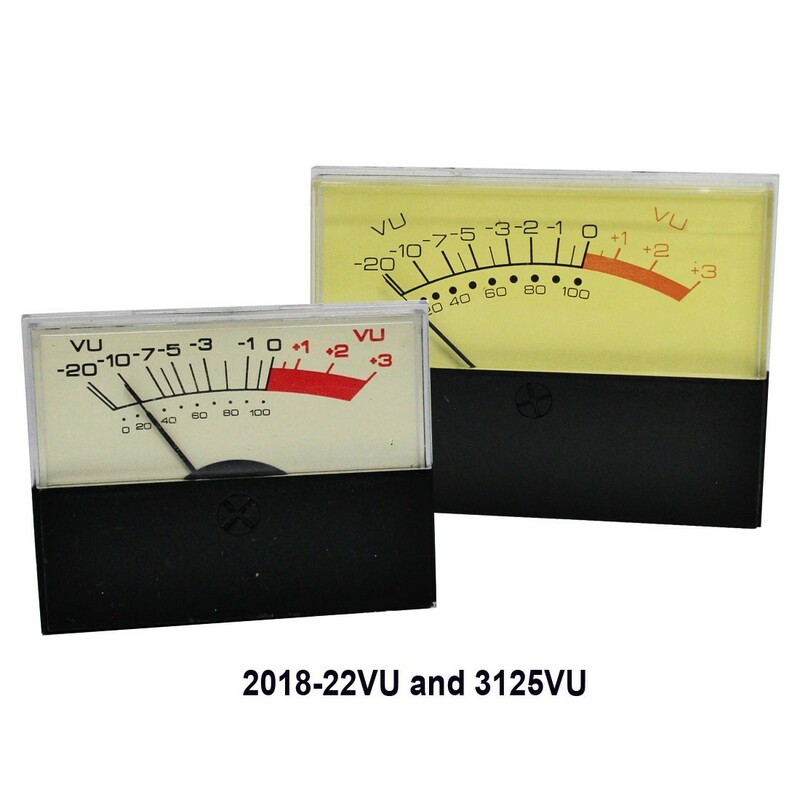 Choose from the 2018-22VU, 3115VU, 2025VU, 635VU, 3125VU, 4025VU, 2035VU, 4035VU, 582VU, 597VU, 3135VU, 2135VU, 2045VU, 647VU, 3145VU, 4045VU, or 2145VU based on your size and style requirements. 1.5", 2.5", 3.5", or 4.5" Square. Buff Dial with Scale A; Black Lettering. 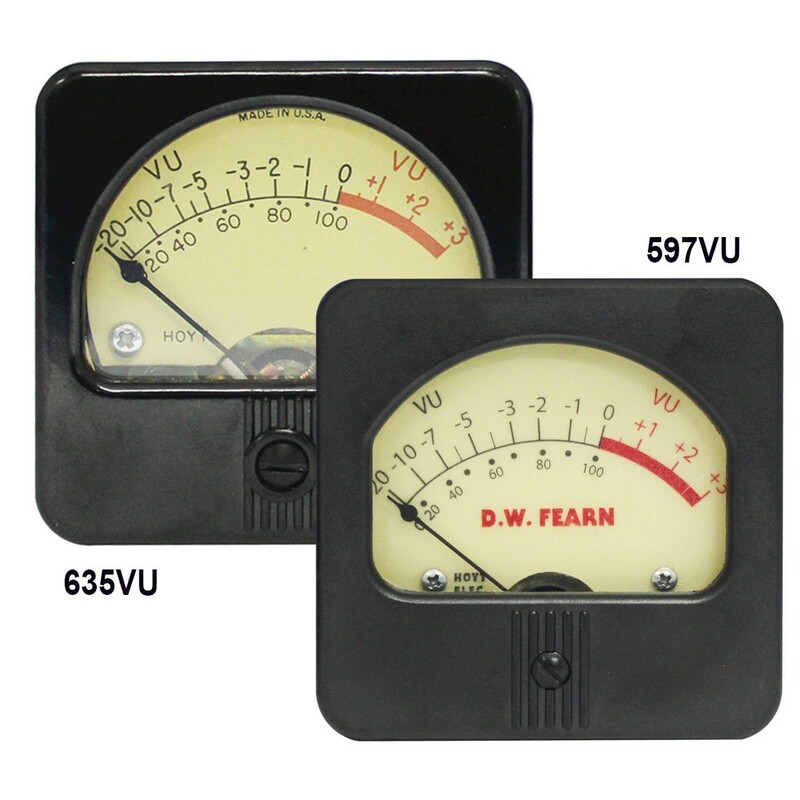 The performance of the Hoyt VU meter is based on the requirements of BS-6840: Part 17:1991, IEC 268-17 1990. The dynamic characteristics quoted, which requires the response time to 99% of reference deflection (0VU) to be 0.3 seconds ±30ms, 0-100% with an over swing of at least 1.0% but not more than 1.5% are not fully met. The over swing, because damping is allowed to spread within normal design restraints, can vary to meet your specifications.